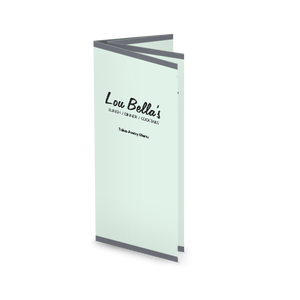 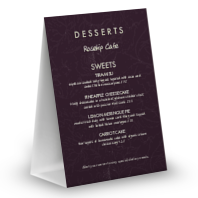 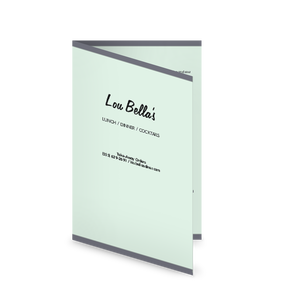 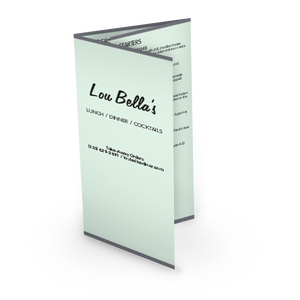 A Fifties diner-style table tent template in 5x7 or 4x6. 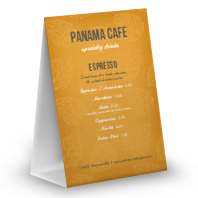 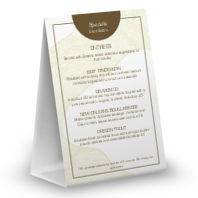 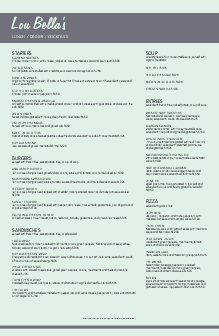 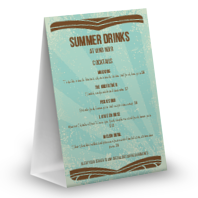 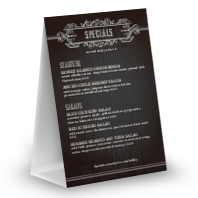 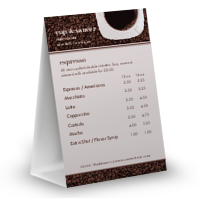 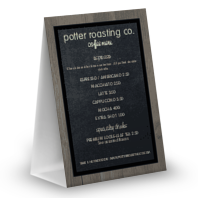 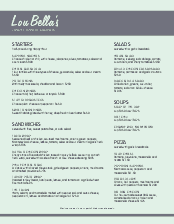 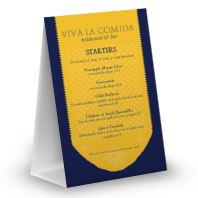 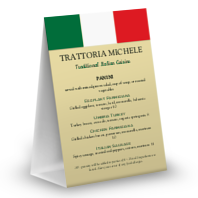 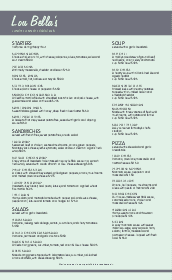 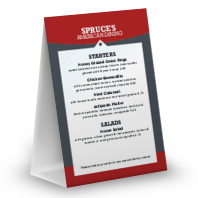 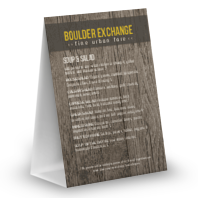 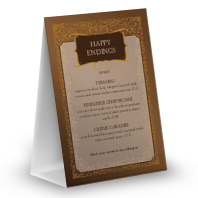 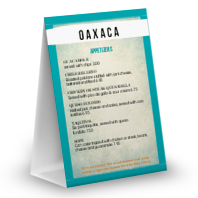 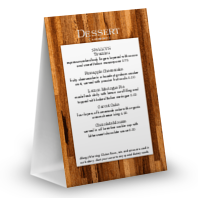 This small tabletop menu has a wide gray border, a retro teal background, and vintage fonts. Customize with your cocktails, desserts, dinner specials, or other upsell items.